Are you wondering about the difference between mildew vs mold? Both are types of fungi but there are important differences between the two. We’ll explain what they are and we’ll also tell you how to clean up both mold and mildew, since you definitely don’t want either of them in your home. We’ll also tell you have to get a free professional evaluation in your home. Mildew is a type of fungus that primarily affects plants, though you may also find it in damp areas of your home. It is usually white or gray in color. It might look powdery or might look fluffy, sometimes referred to as downy. When found indoors, mildew can cause health problems, usually fairly mild in nature. Inhalation of tiny particles of mildew can cause respiratory problems, like coughing or sneezing, a sore throat and headaches. Exposure to mildew is not associated with the type of serious health problems sometimes caused by mold, though. Sometimes mold resembles mildew in appearance, but there are more than 300 types of mold that can be found in homes in the U.S. and they vary a lot in both color and texture. Mold may be black, white, gray, brown, pink, blue or green. Some types of mold are powdery, some downy, some fuzzy, and some slimy. 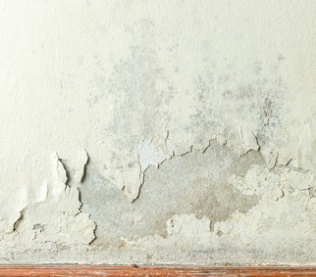 Mold likes damp areas. You might find mold in your bathroom, under your kitchen sink, in your laundry room, in attics or basements, or anywhere there has been water damage or flooding. 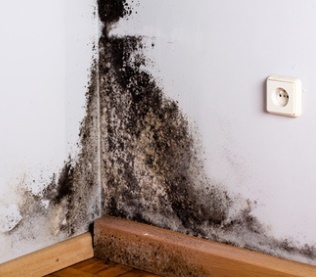 Different types of mold are associated with different health problems, ranging in seriousness from mild to moderate to severe, even life-threatening. 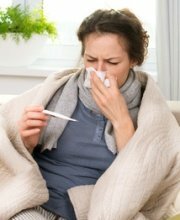 Health problems associated with exposure to mold include coughing, sneezing, shortness of breath, sore throat, headaches, sinus infections, ear infections, eye infections, bronchitis, pneumonia, hives, joint pain, fatigue, and even neurological problems. Here is more about mold-related health problems. Mold can also cause structural damage to your home if it is allowed to grow unchecked, something that is unlikely to happen with mildew. 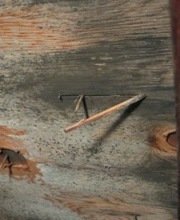 The mold literally eats away at materials such as wood and can cause serious damage to a home. Another important difference between mildew vs mold is that mold grows rapidly and spreads easily throughout a home. If mold begins to grow in one area of the home, it can easily spread to other areas, even spreading through heating, ventilations and air conditioning ducts to other rooms. Mold can also grow in hidden places, like inside walls. By the time you realize you have a problem, the mold in your home can cover a significant surface area. Both mildew and mold should be removed as soon as possible to prevent the problem from getting worse and to prevent health problems due to exposure. Mildew is typically easier to remove than mold. Usually a store-bought cleanser and a scrub brush will take care of it. Just look for a product that specifically states it is designed to remove mildew. Removing mold is much more challenging. To kill mold, you should use a product containing a fungicide that is meant to kill mold. Many common household cleansers are not effective against many types of mold. 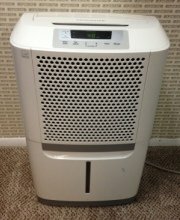 You can read about products for killing mold. You need to take safety precautions when removing mold because the process stirs up mold spores, the inhalation of which can make you sick. The website of the U. S. Environmental Protection Agency (EPA) recommends wearing an N-95 respirator mask, gloves and goggles. You can read more about protective gear for mold removal. If you’re not sure if you’re dealing with mildew vs mold, you can schedule an inspection with an experienced professional that tests for mold. He or she will test the fungus in your home and have it analyzed in a lab to evaluate whether it is mildew or mold. You’ll find out exactly what it is, including what type or types of mold (often there is more than one type of mold growing in a home at the same time). The professional will go over the lab results with you and let you know how your results compare to other results in your area. There are no established standards for safe levels of mold, but he or she can tell you if your results are cause for concern. Follow this link to find professionals that can test for mold in your area. You can also read more about mold testing.